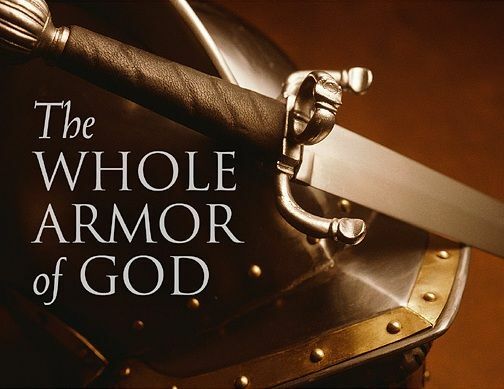 Today is the final post in the Armor of God series. This step in the process of donning the armor includes all the steps before it. Let’s dive right in. Typically, when we dress for the day, our shoes are the last items we put on. The assumption is, when we put on our shoes, we’re ready to go. What shoes we wear depends on our planned activity. It’s the same for soldiers. 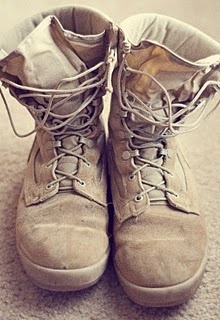 Strapping on combat boots means they expect to be in the thick of it. They expect action, maybe rough terrain, and need their feet protected. 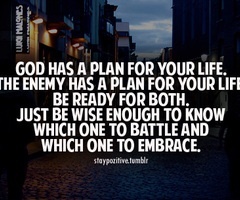 It’s no different with our spiritual armor. These spiritual boots are made of the Gospel. The message of peace and grace that we are to share with the world. The soles, our foundation, are the Word of God and His truth. They are held to our feet by His sacrifice and love, and moved forward by God’s guidance. Once we have them on, we must be in a constant state of readiness to act when we receive our orders. 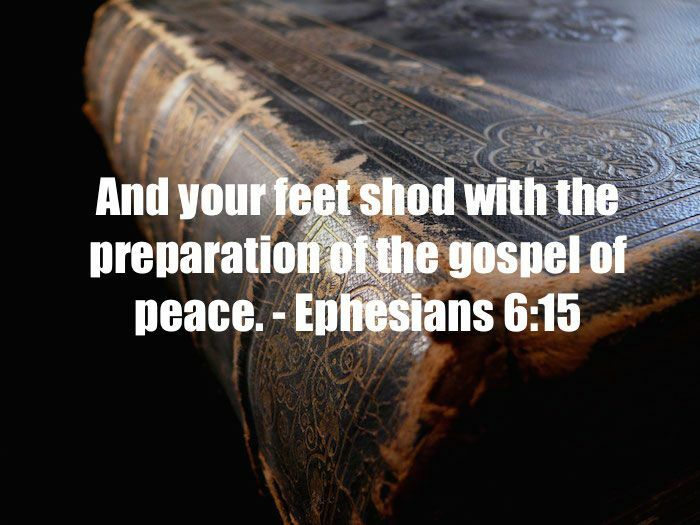 We have standing orders to spread the Gospel to the world, to take His love out into the streets, and to do battle with the enemy when we are attacked. Sometimes, though, we remain in a holding pattern. There may not be an immediate attack taking place. We may be in a position where we have exhausted our current resources and a new opportunity or strategy is needed. Or, we may have just been through a monstrous, bloody battle that obliterated our plans completely and we are awaiting new orders. Whatever the case may be, there are other things we must be doing that keep us ready to move. Whether we are awaiting orders or simply having a rare bit of downtime between battles, there are things we must do to maintain our readiness. Hence, the preparation part of having our feet shod. It is a continual process we must participate in if we hope to be ready for the next fight. Because that next fight will come. But we have a mighty Power behind us and inside of us that will keep us focused and strengthened, when we prepare ourselves properly. In these periods of rest or recovery, we cannot slack off. There is always much to do. We should be in prayer, listening intently not only for orders, but for the encouragement and peace that only comes from Him. Just as with any relationship, communication is key. If we aren’t constantly connected and on the same page, disaster can ensue. Our sword must be a part of us and we have to stay practiced in its use. This means spending time in the Word, so that it is entwined with the very fabric of our being. Our belt must be checked, that we are staying within His truth and not letting our own creep in and weaken it. Our shield must hold, our faith remaining solid. Any dings or holes should be repaired. Our helmet has to remain intact. We always have to be on our guard for the mind games the enemy plays, even when the battlefield seems quiet. Our breastplate must be polished and secure. We should continually strive to pattern our lives after His example and steer clear of anything that would tarnish our armor. Part of our preparation is keeping our strategy honed and in line with His commands. We may have to adjust mid battle, if things start to go downhill or if we are caught in an ambush. Situations change in the blink of an eye. What worked yesterday might fall flat today. But we can be prepared for these changes and adapt. The key to successful strategy is knowing your enemy. His plan is to destroy you, by whatever means necessary, at whatever the cost. He may throw things at you that caused you to stumble or wounded you in the past, just to see if you’ve truly become new, truly put them behind you. He will invent new forms of torture to get you to break. Nothing is off limits for our enemy and he will use everything in his power to take you out. And when it looks like you’re making headway, taking the high ground, he’ll come at you even harder. After all, why bother attacking a soldier that’s down and no longer a threat? When you know his tricks and you are fully prepped against them, you ensure victory. The power of the God inside of you is so much greater than that of your enemy and our God will provide everything we need for battle. He has given you every piece of armor and every weapon necessary to fight the good fight. If you maintain and use each one properly, the enemy cannot defeat you. Make no mistake, my fellow soldiers, we are at war. Every day the enemy rages around us, growing bolder and stronger. 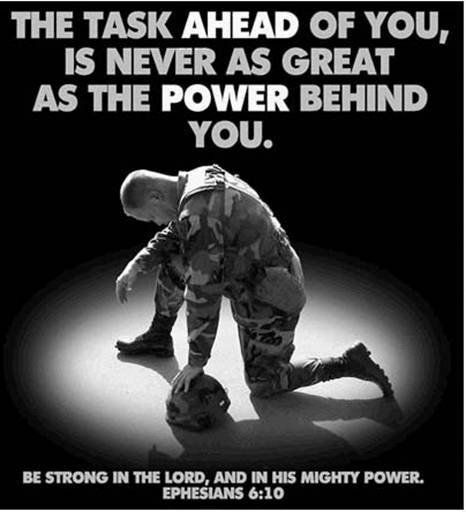 But the army we belong to is mightier than any that has ever walked the earth. And the reward for our victory is beyond compare. 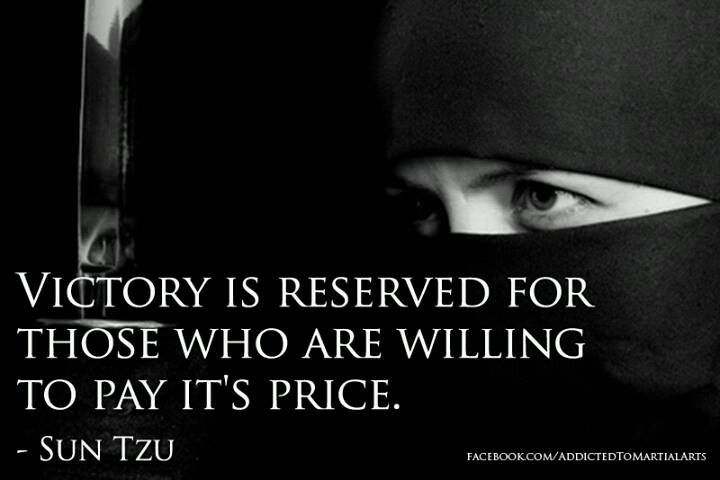 Are you ready, willing and able? Will you make the sacrifices that are required in war? God has already won the victory. All we have to do is be willing to claim it.